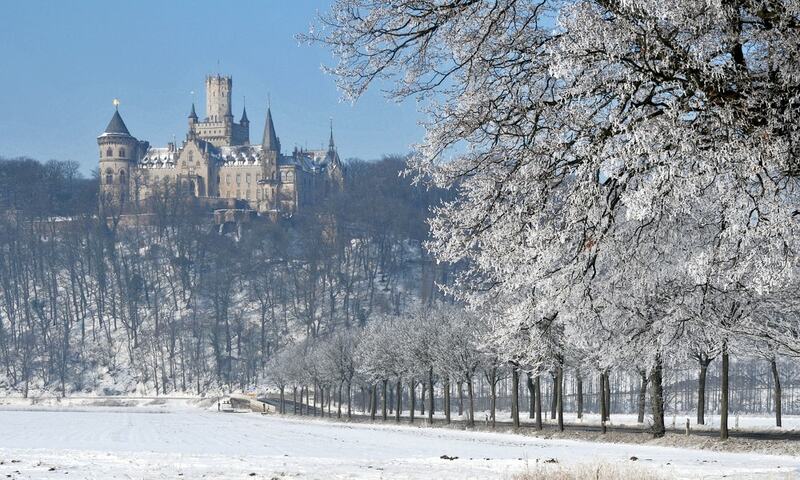 Marienburg Castle is a Gothic revival castle located 15 kilometres north-west of Hildesheim, and around 30 kilometres (19 mi) south of Hanover. The castle was built between 1858 and 1867 as a birthday present by King George V of Hanover (reigned 1851-1866) to his wife, Marie of Saxe-Altenburg. Due to Hanover being annexed by Prussia in 1866, the castle was left uninhabited for 80 years after the royal family went into exile in Austria. Therefore Marienburg is well preserved, as few renovations were done until 80 years later when it was safe to come back.